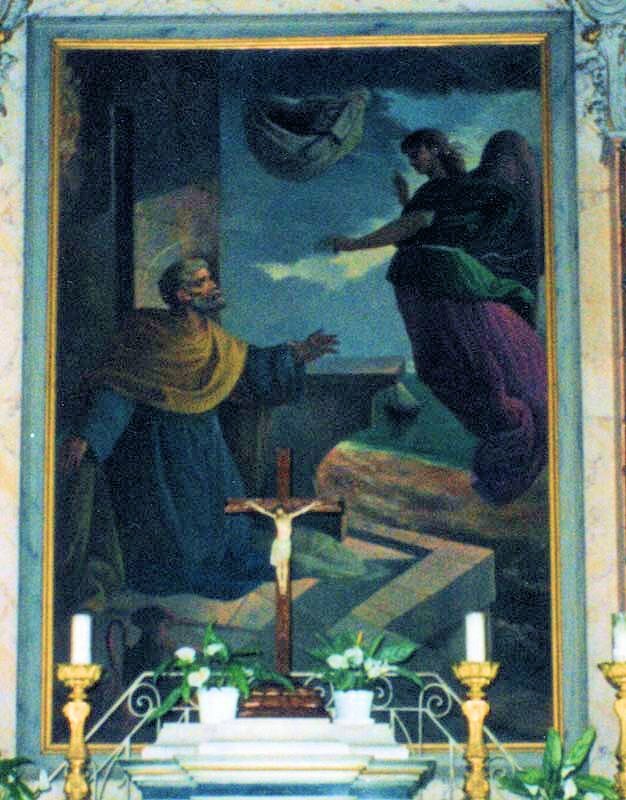 The painting depicts the angel appearing to St. Peter and lowering the sheet full of non-Kosher food. God is inviting him to go beyond his limitations to take the Good News where he least expected to go. Hovering above this painting is a representation of the Holy Spirit, because it was the Holy Spirit who empowered Peter to raise Tabitha from the dead and to receive the vision, and it was the Holy Spirit who gave the vision to Cornelius to confirm Peter’s calling to go where no evangelist had gone before. Holy Spirit, I have my own limitations, as well as my own expectations about what I should and should not do, who I should and should not minister to. I now surrender to You my ideas, my limitations, my preferences, and my goals. Fill me, Holy Spirit, with all of Your supernatural gifts! Empower me to accept and grow in the supernatural life as much as the early disciples did. I want to be useful to You. I want to go where You lead me. 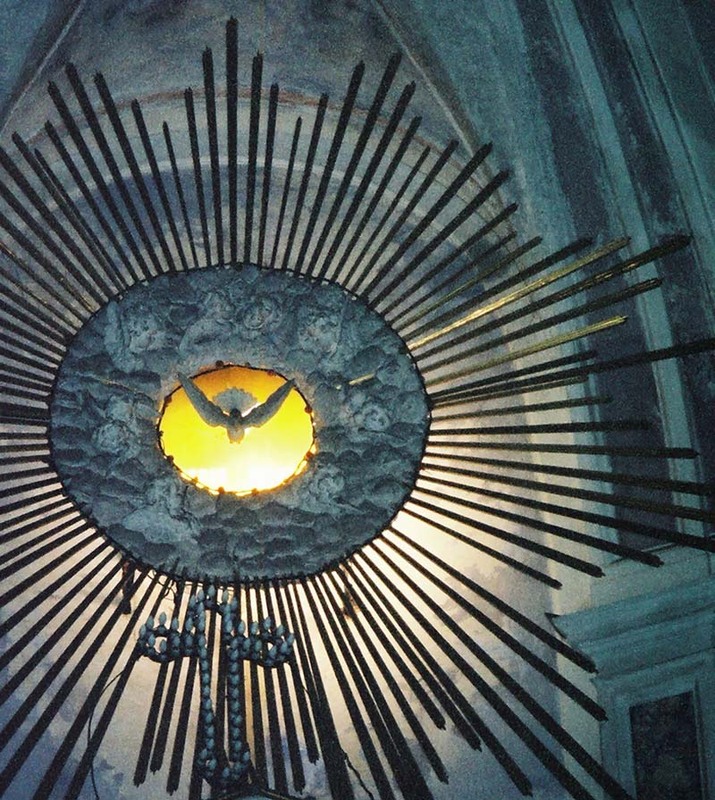 Holy Spirit, send me forth from this Virtual Pilgrimage gifted and empowered to make a difference spreading the Good News of God’s forgiving love. Amen!